One of my favorite books when I was a kid was Charlotte’s Web by E.B. White. The book was probably close to 30 years old the first time I read it, and that was probably around 30 years ago, yet it’s still a perfect book for kids. There’s Wilbur, the pig who needs protecting; Fern, the little girl with the heart of gold; Templeton, the rat that provides comic relief (and a little help), Homer, the man who owns the farm; and, of course, Charlotte, the spider who plays the role of unlikely hero. Fast forward. It’s 2012 and you have The One and Only Ivan. It’s almost the same cast of characters – except you replace Wilbur with Ruby the elephant, Fern with Julia, Templeton with Bob the dog, Homer’s farm with Mack’s pseudo-circus, and Charlotte with Ivan the silverback gorilla. Ivan’s story is told by Ivan. He’s been in this glass box for 27 years, and he hasn’t seen another gorilla since he and his sister Tag were captured as babies. He’s grown, physically, into a massive silverback gorilla. Yet, having been raised by Mack like a human child, eating human food, wearing human clothes, and now put on display for human amusement, he doesn’t feel like a silverback. Silverbacks are supposed to protect their family. Ivan has no family, no one to protect. Until Ruby, a baby elephant is brought to the show. Then Ivan, much like Charlotte had to do 60 years ago, has to figure out a way to protect the one he loves. 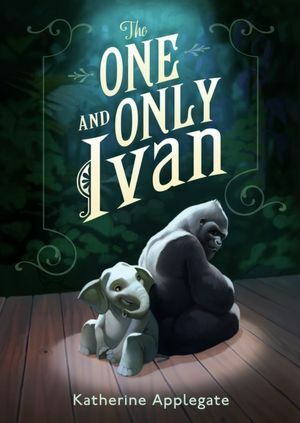 Ivan is such a unique narrator that the book is unlike anything else I’ve ever read. He’s sweet, he’s thoughtful, and he feels that humans waste too many words, so his story is told in short, choppy bits, expressing just what needs to be expressed in a perfect way. It’s kind of prose, but almost a free-verse poem, or maybe it’s just written the way that gorillas think. Either way, it’s a beautifully written, amazing story that is sure to be on the “classics” list right next to Charlotte’s Web a few years down the road. 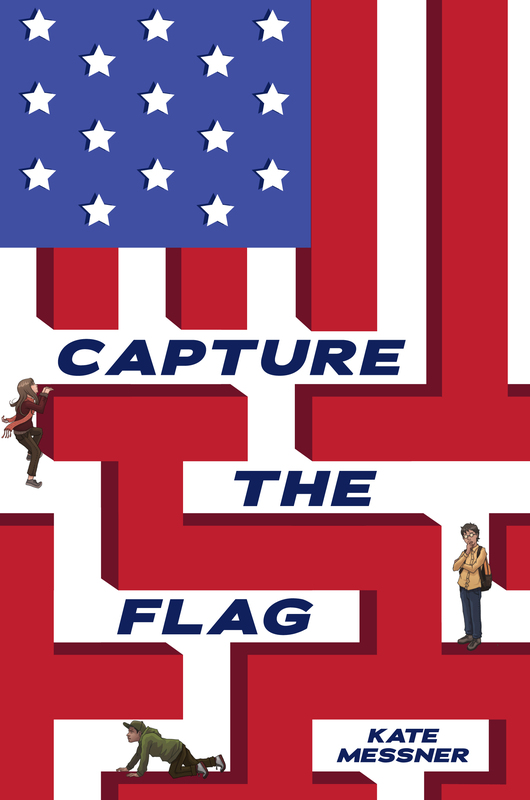 I didn’t think that Katherine Applegate could top her last book, Home of the Brave, but she has. I can’t wait to read what she writes next. This was my 16th book this summer (and my favorite so far). That puts me more than 1/6 of the way to my goal of reading 90 books in 90 days over summer break.